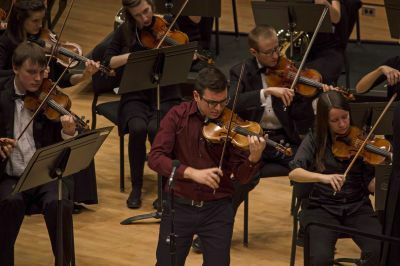 The Goshen College Symphony Orchestra, directed by Christopher Fashun, performed their spring concert on April 17, 2015. 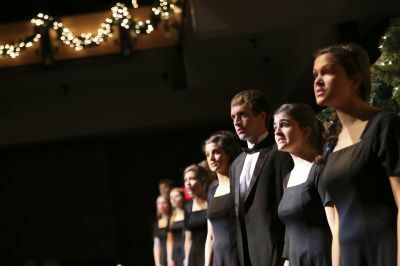 Seniors were recognized during the performance, and it was Fashun's final concert as director of the GCSO. 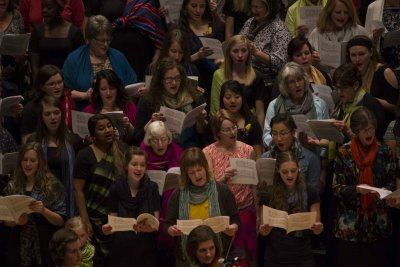 More than 450 students from 15 Mennonite schools gathered over the weekend for the 2015 MSC Choir Festival. 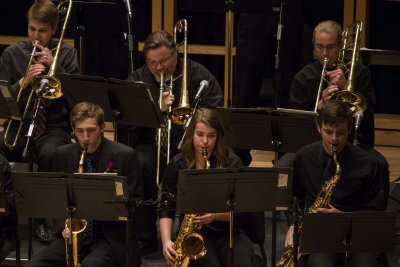 The Goshen College All-Campus Band shared the Sauder stage with Lavender Jazz, GC's big band, in the ensembles' Spring Concert in Sauder Concert Hall on Saturday, March 21, 2015. 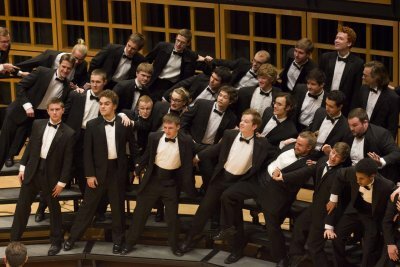 The Goshen College Men’s Chorus concluded their spring break tour to New Orleans with a home concert in the Music Center’s Sauder Concert Hall on Sunday, March 1, 2015. 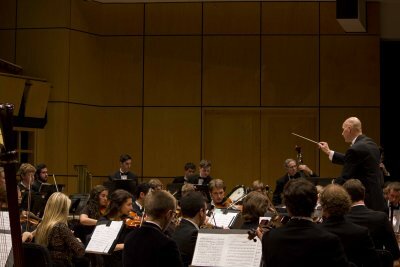 Seven student winners of the 2014-15 Goshen College Concerto-Aria Competition performed arias and individual concerto movements with the Goshen College Symphony Orchestrain the 55th annual Concerto-Aria Concert on Saturday, Feb. 7 in the Music Center’s Sauder Concert Hall. 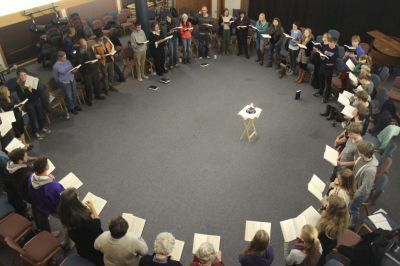 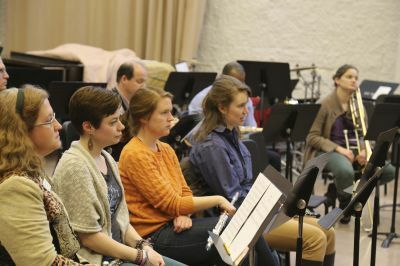 On Monday, Jan. 12, 2015, Goshen College hosted an all-day “Music for Social Change” workshop featuring the musical method “El Sistema.” The workshop was organized by Horizon Education Alliance and several partners including Conn-Selmer Inc., Elkhart Community Schools and Goshen College. 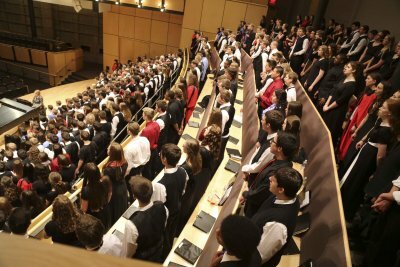 The featured speaker is Karen Zorn '84, president of Longy School of Music of Bard College. 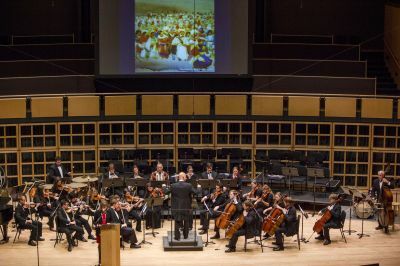 El Sistema is a music education program developed in Venezuela by José Antonio Abreu and is geared toward providing music instruction to students from low-income or under-served communities.